Simple tips for walking your dog. It happens to everyone. You take your dog for a walk and you get pulled from one gate to the next with no end in site - the walk actually becomes more of a strain than anything else. When you take your dog for a walk there are a few things you must understand first. Here are 3 tips on how to correctly walk your dog! 1. Awareness. Your dog loves to "investigate" sounds, smells and other dogs - how to correct this? Be aware of your surroundings. Know that your dog will pull to house number 56 because the owners that live there also have dogs so therefore pick another route. Avoid encounters until you can keep your dog under control. Once your dog is under control you can try the route again - never give up. 2. Relax. Your dog picks up more information from your body language than you realize. Start your walk relaxed and in a good state of mind to achieve the best results with your dog. When you're relaxed your dog will respond better and you will be more prepared to make the required actions. Pro tip: Don't wrap the lead around your hand - your dog can feel the tension through the lead and will act accordingly. 3. Talk to your dog. You might look nuts but if you can have your dogs attention on you, at least in part, you will have a much more responsive dog to deal with. Encourage the good behavior during the walk and if your'e not sure on what to say then tell your canine how your day went or what you have planned for the day. They love hearing your voice so use it to your advantage. Bonus tip: Training. Use the walk as a perfect time to practice some dog training. It doesn't have to be advanced or over the top. Just the basics like sit and down. 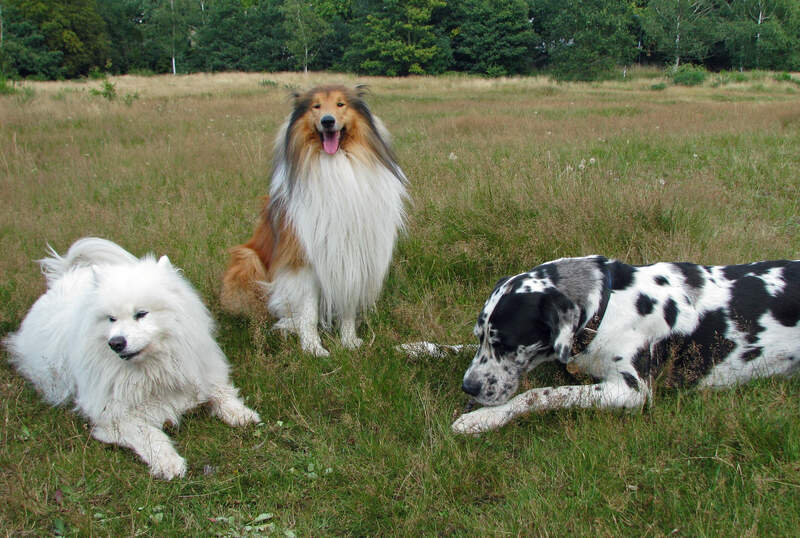 Training your dog during the walk or brushing up on your dogs training is always a good thing. If you can achieve this during your walk then it's even better. So keep your head up, be aware and get some dog training in during your walk!